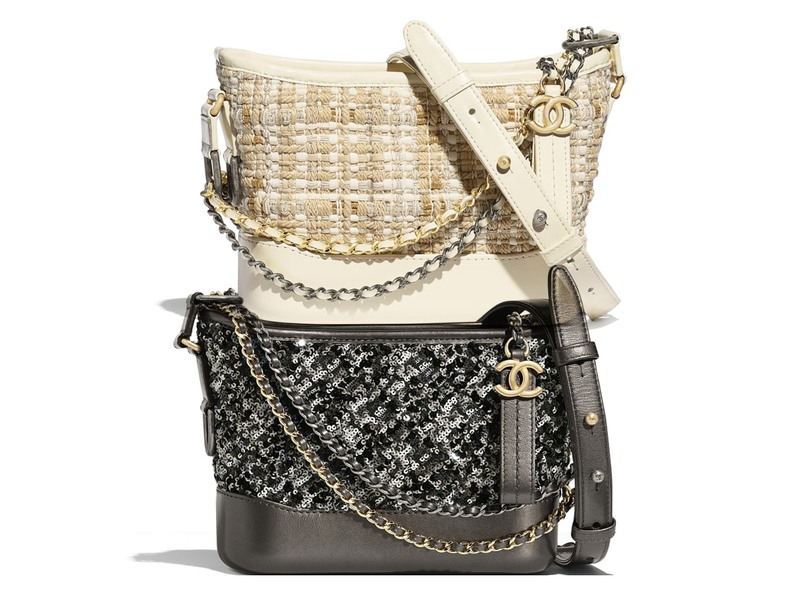 A bag that needs no introduction, there’s nothing one won’t love about Chanel’s Gabrielle Hobo, from its half-and-half structured yet soft body, the zip top closure and an array of chain links that allows one to wear it at least one of 3 or 4 ways. And the size that’s the cutest of the lot? It has to be the small ones, which do still pack in enough for a quick day out. And with Chanel’s Pre-Spring 2019 collection that now available in stores, here are 4 more cuties that are up for grabs, from the Beige/Ivory number in tweed/leather (SGD7330) to another covered in sequins and finished in both gold-tone and silver-tone hardware (SGD8330). Looking for bags that are more distinct as far as the colour palette is concerned? How about the checked tweed Small Gabrielle Hobo in cream/green/pink that’s trimmed in black leather (SGD5590) or the striped sequin number that’s not only easy on the eyes but easy to match with most any outfit too? Which one is your fave?